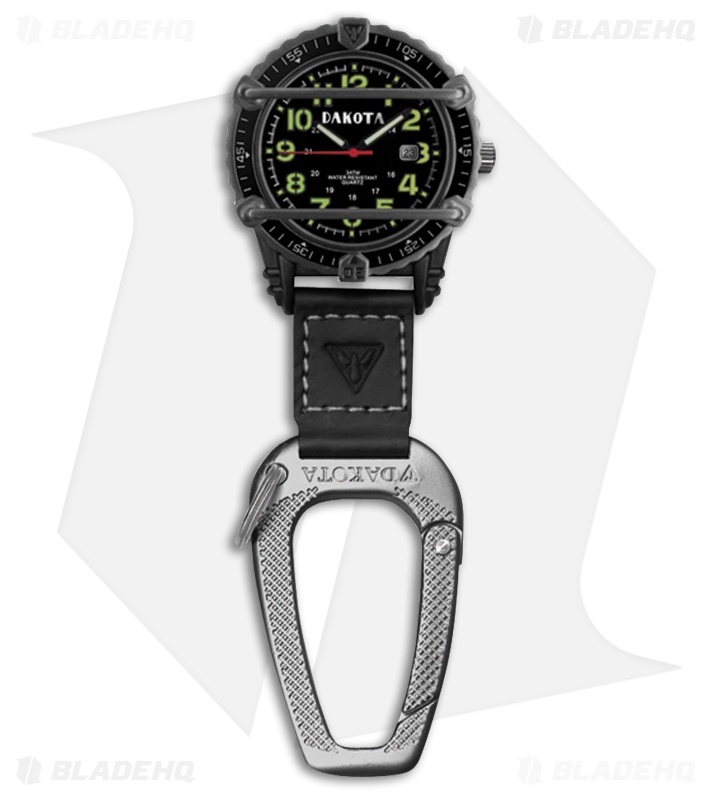 The Dakota Phase III Clip is a watch to take on those breathtaking hikes through the woods or up on the mountains. Or you can clip it on your key-chain and take it on everyday adventures. This watch includes a black aluminum oversized casing with a stainless steel backing. It also features a black face with green luminescent hour markers, hands, and Arabic dial. Water resistant up to 100 feet with protection bars to prevent scratching. Japanese quartz and analog movements. 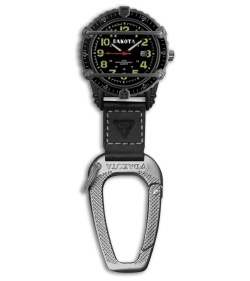 It has a key-chain and black leather strap with an attachment clip. This will be a perfect gift with the metal gift tin.